U.S. passport holders will not be able to travel to North Korea beginning September 1, according to a statement issued by the U.S. State Department on Wednesday. Officials say that anyone currently in North Korea that hold a U.S. passport should leave before the restrictions take place next month -- which will remain in effect for one year unless extended or sooner revoked by Secretary of State Rex Tillerson. "The Secretary has authorized the restriction due to the serious and mounting risk of arrest and long-term detention of U.S. citizens under North Korea's system of law enforcement," the statement read. Certain groups of people -- including journalists and humanitarian workers -- may apply for exceptions to the ban, according to the public notice. The U.S. announced the travel ban last month due to safety concerns for U.S. citizens in the country. In June, a University of Virginia student Otto Warmbier was released to the U.S. on humanitarian grounds because he was in a coma. He had been sentenced to 15 years of hard labor in North Korea for allegedly stealing a propaganda poster in March 2016.
Who is to blame for Otto Warmbier's death? The 22-year-old died on June 19, days after he returned to the U.S. The cause for the coma has remained in doubt -- North Korean officials claiming he fell into the coma due to botulism and a sleeping pill. But doctors treating him in Ohio said he suffered "severe injuries to all areas" of his brain. At least 16 U.S. citizens have been detained in North Korea in the past 10 years, the State Department says. North Korean authorities have detained those who traveled independently and those who were part of organized tours. The State Department adds that possession of any media -- either physical or electronic -- that is critical of the North Korean government or its leaders is considered a criminal act punishable by long-term detention in hard labor camps and heavy fines. 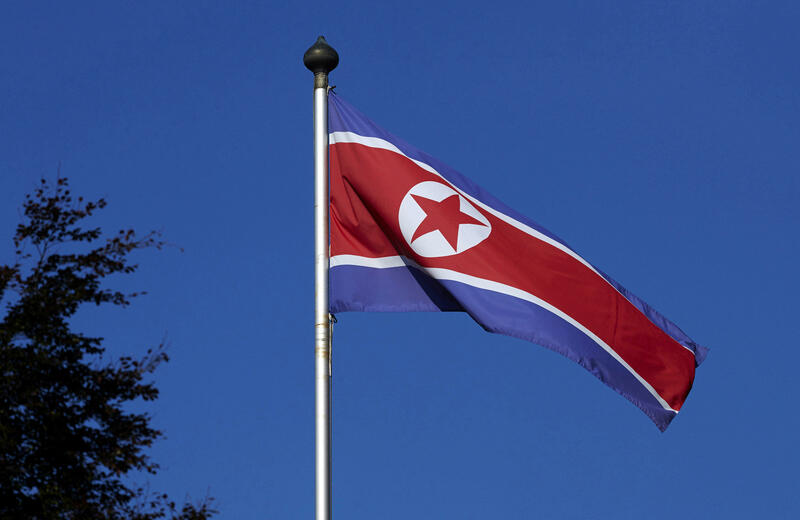 Reuters news agency reports that North Korea is holding two Korean-American academics and a missionary, a Canadian pastor and three South Korean nationals who were doing missionary work. Japan says North Korea also detained at least several dozen of its nationals, Reuters adds. Wednesday's notice also comes amid extreme tension between the United States and North Korea. This will be the first country that Americans aren't allowed to travel. North Korea has been in the process of flexing its military might after the country's second successful intercontinental ballistic missile (ICBM) test on Friday. The missile flew longer and higher than the first according to its wary neighbors, leading analysts to conclude that a wide swath of the U.S. including Los Angeles and Chicago is now within range of Pyongyang's weapons. In response, Tillerson said Tuesday at a press briefing that the U.S. is willing to talk with North Korea -- but only if North Korea gives up its pursuit of nuclear weapons. "We felt the appropriate thing to do first was to seek peaceful pressure on the regime of North Korea, to have them develop a willingness to sit and talk with us and others -- but with an understanding that a condition of those talks is that there is no future where North Korea holds nuclear weapons or the ability to deliver those nuclear weapons to anyone in the region, much less to the homeland," Tillerson said.